The African Safari theme makes this postcard uniquely beautiful. The image is a photograph of artist’s original mural which was created in children’s play room. 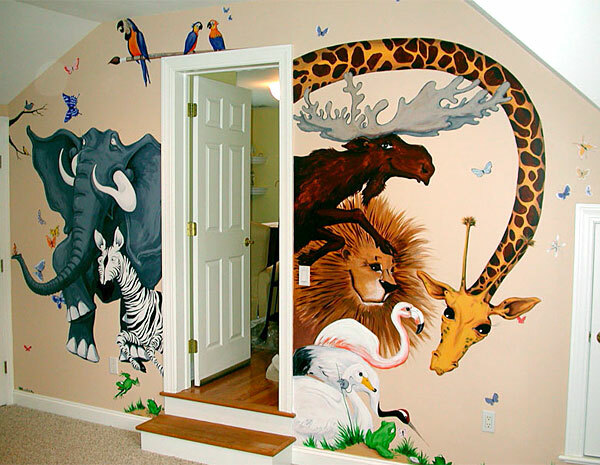 This mural created warm sand walls with different animals surrounded by hundreds of butterflies flying on every wall in the room to give the feeling of lightness and joy.